People start thinking about their legacy when they reach a certain age, and for most of us, ours will be the memories belonging to those who outlive us. Honored people or those with means will put their names on libraries or skyscrapers. Some people, great artists, will have their work cherished until the end of human history. For one Santa Rosa resident who died last month, his legacy is the security keypad on a Starbucks bathroom door. One day in late April I spent my writing workday at the Coddingtown Mall Starbucks. As I packed up to leave, I was thinking about buying a Pliny at Whole Foods, but a visit to the bathroom came first. In the Coddingtown Mall Starbucks there are two restrooms side by side. A woman was walking ahead of me, and as she went for the left restroom, I went for the right. The door was locked. As I waited, I saw the woman poke her head inside the other bathroom door. "Are you alright?" she asked. Given her tone I assumed she was talking to a little boy or girl, checking on her child. "I don't feel so good." It was a man's voice. He sounded haggard and sick. "Is it the drugs? Are you having a seizure?" She looked at me and said in a calm voice, "I'm sorry, but an ambulance is coming soon." I apologized and went to find another restroom in the mall. On my way to the parking lot a few minutes later, I passed by the Starbucks. An ambulance and fire truck had arrived, and a gurney was pushed up to the door of the restroom. I didn't hang around. More than a week later I was thinking about what I had seen. I figured I'd never find out what happened to the man. What did he take? Did he make it? A quick Google search: "Coroner: String of deaths in Santa Rosa may be linked to toxic heroin"(see sidebar). The man died on that bathroom floor. I had heard what were likely his last words. Cannabis has become the darling drug of Santa Rosa, but pills, powders, and needles are still very popular for those who live on the streets, in the parking lots behind the malls, and in the neighborhoods we don't go to, or even talk about. It took me a few days before I could return to the Coddingtown Mall Starbucks. By then the employees had pushed the condiments counter in front of the bathrooms. Little handwritten signs reported that Sorry, bathrooms closed. Please use bathrooms in the mall. I asked the barista why. She looked at me with tired eyes, and shrugged. "A guy died in there. They're still figuring out what to do with it." A week later the bathrooms were open again, but with the electronic keypads installed over the handles. There are more keypads at coffee shops these days, or cafes where an employee has to unlock the door. At one of these places, I watched the same employee unlock the door for customers about 20 times in five minutes. I asked him why his store hadn't installed electronic keypads. "The code will get passed around in less than a day," he huffed, as if what he was saying was the real problem. But you can't hang around in some coffee shops for more than an hour before someone needing a fix will come in asking for the key or code. "You have to buy something first," the barista will say in a kind voice, using the coded language only the two of them understand. What's the solution? Should coffee shops store the heroin antidote Naloxone behind the counter? Should every barista, cashier and customer service representative in Santa Rosa learn life-saving measures if someone overdoses at their store? I don't pretend to have answers to those questions. But if during your next trip to a coffee shop you discover that the staff has installed security locks, take the extra moment to reflect on why the locks are there. Think of the people whose only legacy is a lock on a door in a community gathering space and ask whether we as a city did enough to help them. Sonoma County's heroin and opioid problem hit the headlines in late April when five people died over 10 days. Meanwhile, an aggressive county drug court aims to stem a growing tide of death and misery that attends heroin addiction, a relatively new phenomenon in a county more identified with easy-going cannabis than the harsh realities of heroin. "We have more clients than ever before," says Mike Perry, Chief Deputy Public Defender for Sonoma County, whose drug court program currently enrolls more than 100 citizens to beat their habit and stay out of jail. The trajectory of drug charges at the county level has shifted in recent years from methamphetamine to opiates and heroin, Perry notes. Until about three-and-a-half years ago, he says, kids were chopping up Oxycontin and Hydrocodone tablets and snorting them, but the pills have been altered so users can't do that anymore. At the same time, Perry says, a heroin crisis that was mostly an East Coast problem manifested in the Golden State. The potency of street-grade heroin went way up, he says, from an average purity range of between nine and 12 percent pure—to between 32 and 35 percent pure. The additional emergence of fentanyl on the streets, a quick-acting opioid, has further spiked the danger level. Opioid addiction is a national crisis and the problem has arrived in Sonoma County, where "there are more people in drug court than ever before," Perry says. "And we are also seeing more opiate clients in drug court than we ever have in our 21 years." 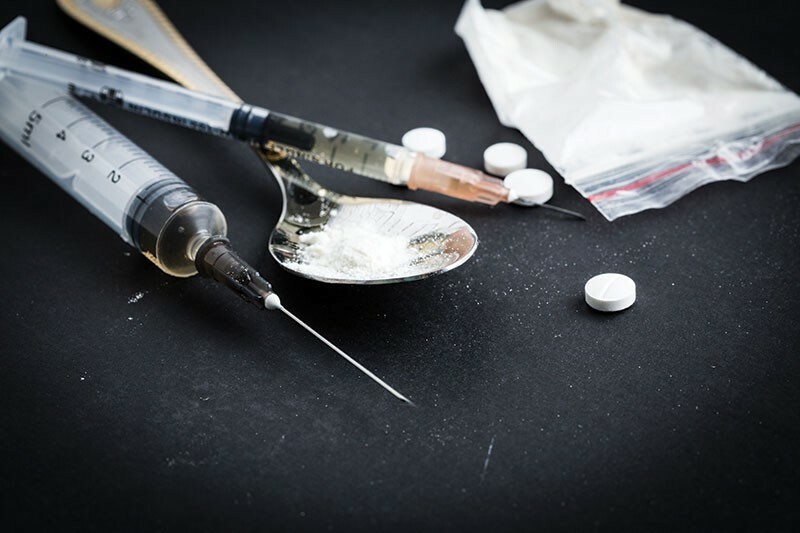 The Centers for Disease Control and Prevention reported in early 2016 that the number of overdose deaths per 100,000 population in Sonoma County went from 2 per 100,000 in 2002, to more than 20 per 100,000 in 2014. Most participants in the county's drug-court program are in intensive outpatient environments and subject to random drug-testing protocols as a condition of their program. Seventy to 75 percent of participants complete the program, Perry adds, and he'd love to provide figures for recidivism rates among participants, there's no budget for that sort of breakdown in the county.